You might have heard about Google’s announcement last week: Stadia. What it promises is without a doubt impressive. However, there’s a long way to go before we’ll be concerned about gamers turning away from full blown gaming PCs in favour of game streaming. In case you’ve missed it, here’s what it is in a nutshell. So wait, why isn’t Evatech worried? Google has only laid out plans for launching this year in the US, Canada, and Europe. Australians will have to wait. Remember that in Australia most of us struggle for good internet at home via wired solutions. The days of game streaming at 1080p 60FPS over a home ADSL/cable/NBN or a mobile data connection are far off in the future. More on why later in this post. Furthermore, lately the trend of gamers going for resolutions greater than 1080p and/or more than 60FPS is skyrocketing. You might be thinking “But I can stream Netflix 1080p/4K no worries!” – firstly you’re in the minority. Secondly, almost all movie/TV footage is about 24 FPS. That’s less than half the amount of 60 FPS. Thirdly, streaming a movie or TV show is known data. By that I mean your device can pre-load the next 30 seconds, or few minutes of the video file so that in case your internet connection is patchy, it has a bit of a “buffer” to work with so that you hopefully experience a perfect stream. A game on the other hand, cannot be pre-loaded. If you decide to jump, shoot, run, or (sadly) die from one second to the next, there are way too many possibilities for Google to pre-load for you, meaning it’s all live, all the time. The games. Although it would be easier to say “the lack of games”, because all we’ve got confirmed so far is Assassin’s Creed Odyssey and Doom Eternal. Interestingly this raises another point. Since Stadia is based on Linux and some specialised hardware. Likening it more to a new breed of console than a regular home PC running Windows 10 and Steam (or whatever other game store). This may offer a new barrier to entry for game developers/publishers, meaning Stadia may not get all the latest and greatest games if there isn’t a large enough player base to warrant the hard work and effort. What if it has everything I want, and I have great internet? There’s a tiny (mostly negligible) amount of input lag on a gaming PC sat just 30cm away from you as you game. This is the delay between you pressing a button on your keyboard/mouse/controller and the corresponding action appearing on screen. Modern gaming peripherals and hardware do well to almost negate this entirely. When it comes to pressing a button in your house, the signal going to your PC, your PC sending it to Google via whichever servers it needs to bounce off to reach Google, Stadia’s servers to process your button press and then pass the output (video) back to you again via the same avenues, there’s going to be a noticeable delay. Google says they have worked to minimise it, but those who have tested it are saying it is most certainly there, to the point of it being a deal-breaker. Note that a lot of gamers these days are playing first-person shooters, where reaction timing is everything. More input lag than your competition puts you at an instant up-front disadvantage. Playing games should be fun, not frustrating by design. There’s been what seems like news story after news story about the world’s largest companies engaging in shady activities. Some result in lawsuits, fines, and some just make people really uncomfortable due to their privacy being exploited. 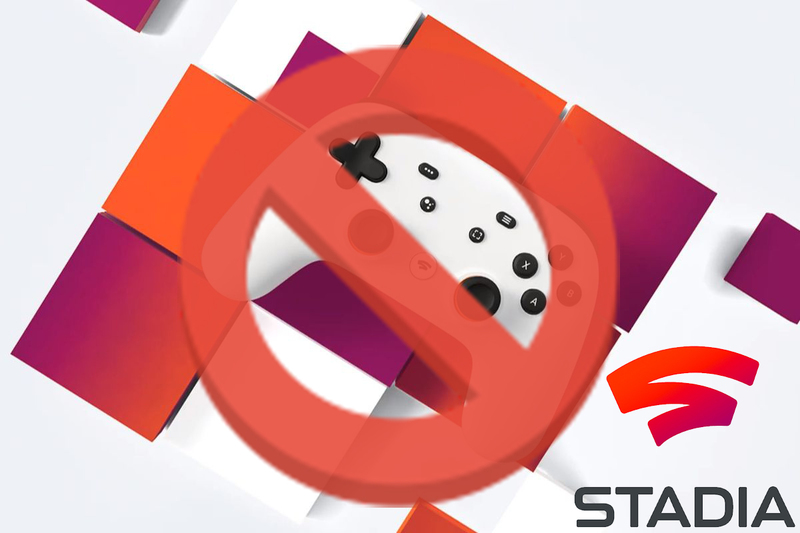 Stadia has raised some valid questions: what about game mods? How long are games available for (if not indefinite)? What if Google decides Stadia isn’t sustainable, and wants to shut down the service as it has with many, many other once-large services? It might be hard to think back to a time before the likes of Netflix, Stan, Amazon Prime, etc. Do you remember? Internet speeds for the most part slower than what we have right now, granted. But the max theoretical speeds were usually reached on a daily basis. Since the rise of streaming services like Netflix, Australian Internet Service Providers (ISPs) have struggled to give everyone their maximum connection speeds (sustained), especially during peak times. Why? Most of the population get home from their day of school, university, or work from about 3pm to 7pm. As more and more people get home, they are able to give their attention to a screen of their choice, and the easiest one is a TV connected to the internet to watch some TV series, or perhaps a movie, or maybe even some YouTube. While that’s on, you might also browse through Facebook, news, or Reddit. That’s fine too – your internet can very likely handle this because the video content is being pre-loaded. Now remember that this is happening at every other house in your street. The streets connecting your street to main roads. Every house in your suburb. Plus a few of your neighbouring suburbs. For some Australians, that’s the amount of houses that rely on just one internet node/exchange. Somewhere along the line, no matter how close to home, or how far from home, there will be a bottleneck. Too much data to go out and come back in to keep up with, so everyone’s speeds often get slowed down so that everyone is able to maintain some type of connection. This is what most ISPs now refer to as “evening speed”. That’s how life is in today’s world of streaming Netflix, YouTube, etc. Now picture that same scenario, only that maybe 1/4 of those people who would usually stream video are now interested in streaming live games that they are playing. So, 1/4 of the population using 2x (or more) the amount of bandwidth. That’s a significant increase in internet traffic and bandwidth utilisation. Something I just cannot fathom Australian internet infrastructure keeping up with. Let’s also remember Australian internet has pretty tight data caps. 1 hour of Netflix HD (1080p @ 25FPS) will use about 6GB of data. Let’s double that to get to 50 FPS (still 10 short of 60), and that’s 12GB of data an hour. 3 hours of gaming a day, 5 times a week, over the course of a month? 720GB in just game streaming. 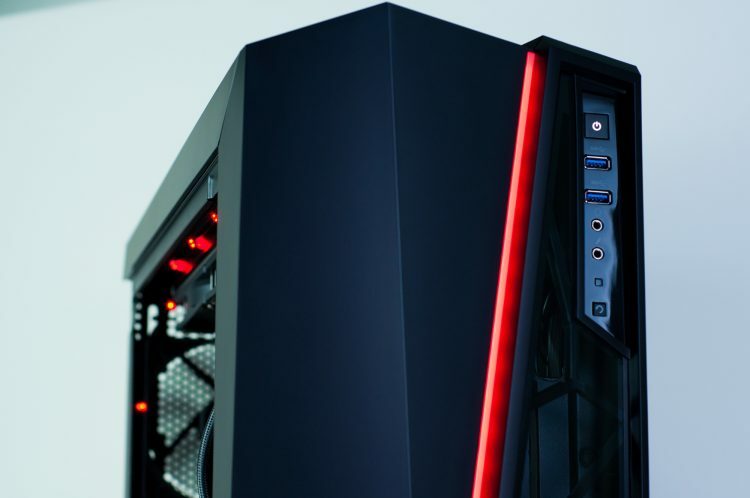 While it will allow people to jump right into games at the drop of a hat (ignoring the internet problem for a moment), it’s not the end of gaming PCs. Competitive gaming will still be done on real physical gaming machines. 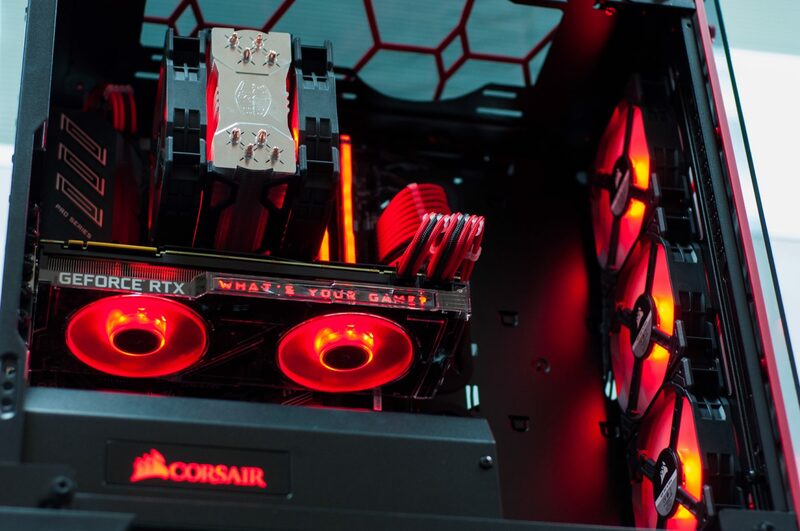 Ones that cater to professional gamers’ requirement for high refresh rate, low latency, “no excuses” hardware to play their games and earn their living. Anyone serious about gaming will likely stick with real hardware, like we have now. For what it’s worth, American multinational retail company Walmart is also reportedly looking at game streaming. So there may be more options in the future, with all the same pitfalls we imagine. Also remember. A gaming PC is more than just for playing games. You can do homework, assignments, research, video editing, office work, etc. Gaming PCs are far from being replaced. Hopefully that explains things as we see it. And again, this is certainly not coming to Australia at least this year. Even when it does, Australian internet just isn’t cut out for it. So expect a very, very bad time. Until then, game to your heart’s desire on an Evatech customisable Gaming PC! 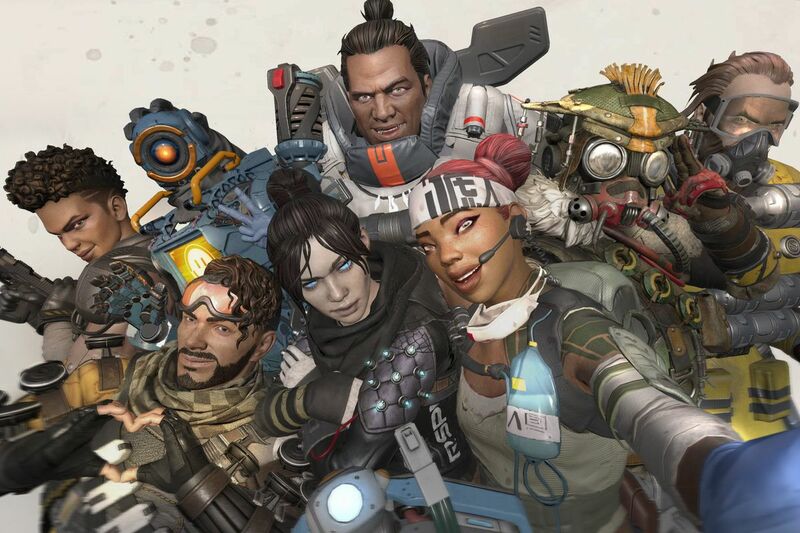 Apex Legends is smashing records right now as the most popular PC game. With it’s player count topping 25 million within the first week, it beat out DayZ, PUBG and even Fortnite to claim the thrown as the most successful PC game launch of all time. So what does it take to jump and start playing? We’ll we’re going to run down the hardware specs you need to get the most of Apex Legends and similar online shooters so you’ll be ready for today, and what ever comes around the corner tomorrow. 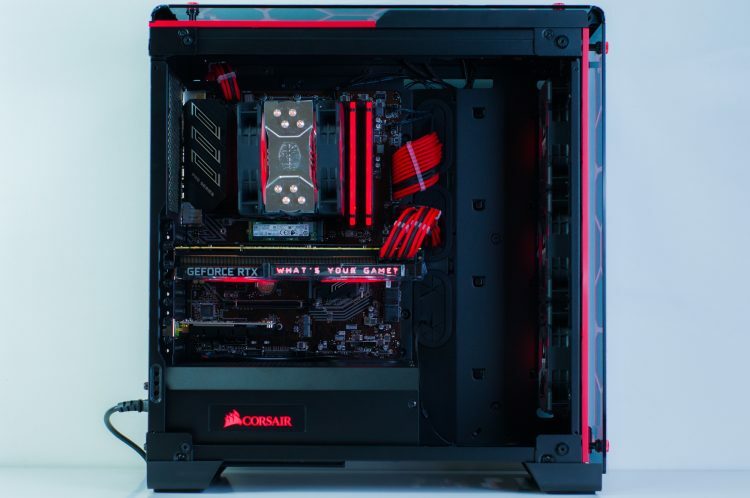 To follow along and customise a gaming PC as we guide you through the process you can head on over to store page (linked here). Don’t be alarmed by the number of options. It’s all very easy, we have built in error detection and instructions so there is no need to worry. Defining your target performance level. Whether or not you want to target a very high frame rate, play at 4K or crank all the settings up to max will greatly impact your hardware selection. With this in mind the below hardware recommendations will define 3 separate levels. We’ll cover an explanation regarding the listed GPU, CPU and RAM a little further below. The entry level hardware selection to get a good competitive experience at 1080P / medium presets. A step up, allowing for higher frame rates at 1080P on high presets to give you at that little extra edge and visual fidelity. Crank up all the settings to max and leave noting on the table with silky smooth frame rates at 4K. The basics of hardware selection. If you’ve read one of our custom PC game guides before you probably already know this. However for the sake of first time readers we’ll cover the basics again. 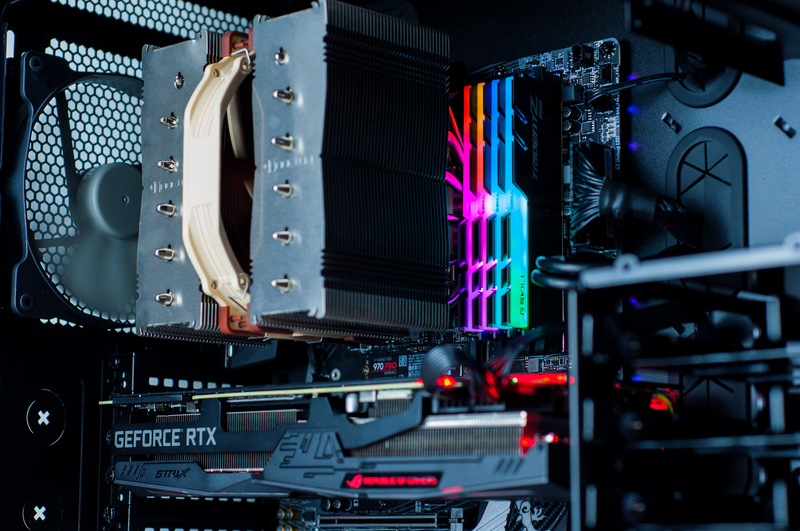 When it comes to game performance, the 3 components that matter are the CPU, GPU and RAM. No other components have a direct impact to in game performance. 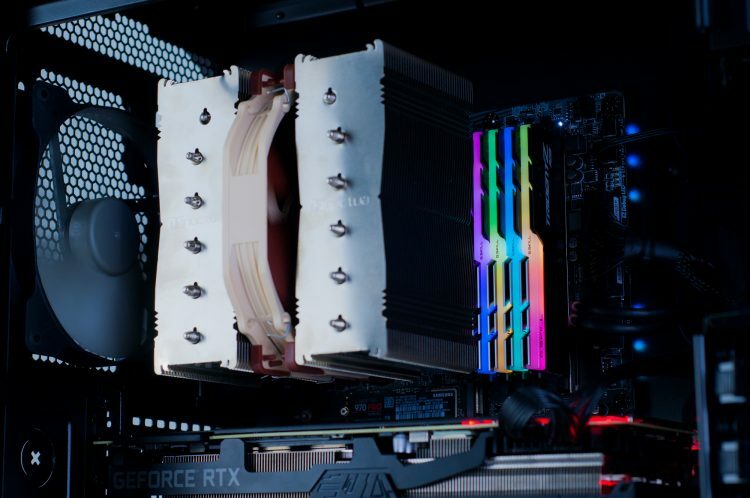 Your storage device might increase load times and your cooler and fans might help prevent thermal throttling but that’s about it. Now of these three components, the GPU (also know as a video or graphics cards) is by far the most important. There are a few exceptions in which the CPU will be more important but in 99% of games this just isn’t the case. As long as the CPU and RAM don’t become a bottleneck, the GPU is the single most important component of the system. Once you understand this basic concept, the rest becomes easy. Just select the GPU required to fit your performance target and pair it with the appropriate CPU and RAM combo. Once we know what these three components will be, we can choose an appropriate motherboard and power supply to match. Finally, all that’s left to do is select the rest of the configuration with your own personal preferences and requirements. 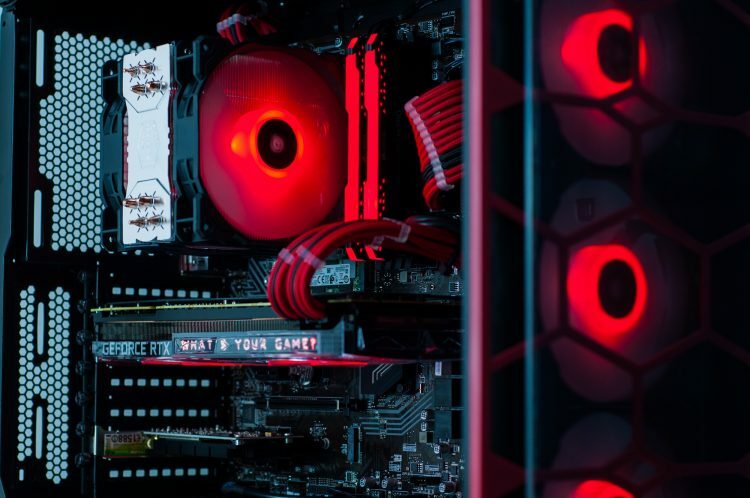 Choosing the right motherboard & power supply. A motherboard, as the name suggests, is the main board in to which all other components are attached. They house the integrated audio and network solutions as well as USB ports and various other ports to connect peripherals and storage devices. Higher end boards (eg Z390) are more geared towards enthusiasts looking for premium end integrated audio and networking adaptors and the ability to overclock the CPU or run multiple GPUs. The mid-range boards (eg B360) are great all rounders and best value for money option in most cases. The lower end boards (eg H310) are more of a basic, no-frills solutions designed for budget systems where every dollar counts. In general we advise against CPU overclocking. The logic behind this is simple. The amount of performance you stand to gain is outweighed by the required additional investment required. This additional investment being a higher end motherboard and cooling solution to make it happen. Not to mention the added possible instability, heat, power consumption and shortened component life span if it’s not done carefully. As for the power supply, we offer both Bronze and Gold rated options. These ratings indicate their AC to DC power conversion efficiency with Bronze being 85% under 80% load and Gold being 92%. Increased efficiency means less heat output and lower power bills! The other thing to consider when selecting a power supply is the wattage. How much do you need exactly? 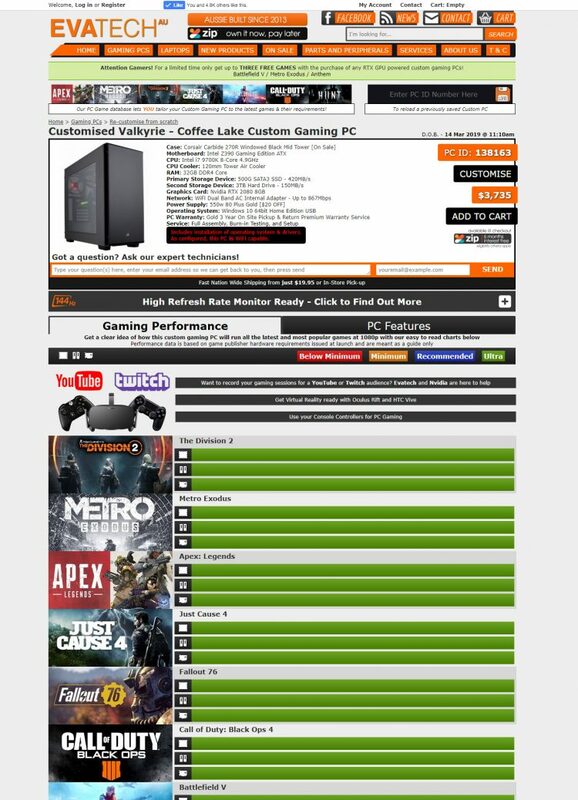 Well if you are using our custom PC builder (linked here) it’s smart enough to tell you. Simply select all the other hardware first then navigate to the power supply selection area. At the top of the list will be a short instructional message. This will tell you how much wattage your system will draw and recommend a suitable buffer. 1080P to 1440P / High Presets. Need recommendations for a chassis or storage device? 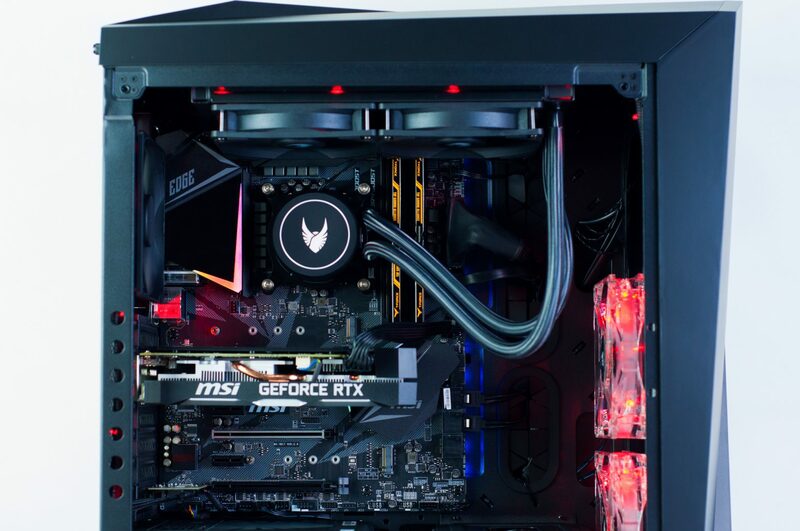 Not too sure which cooler or you should go with or simply want an expert to go over your build and make some suggestions? No worries! You can reach out to us via the Contact Us page on our website and we will get back to you ASAP. Head on over to our store page at www.evatech.com.au to customise your next dream gaming PC for Apex Legends or any other game! It’s quick, easy, powerful, Australian built and delivered fast nation wide. Not to mention outstanding value. It pays to shop around, especially on big ticket items like gaming PCs! 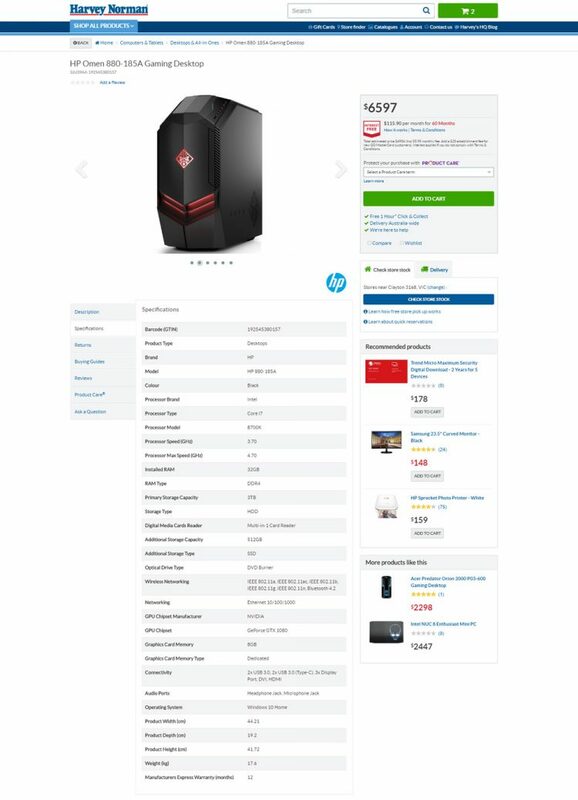 This isn’t news, but what happens when you compare an Evatech custom built to order gaming PC with an off the shelf pre-assembled in china option? The results might surprise you. We get it. Custom built in Australia sounds expensive right? Logic says that should be true, but when you do your homework it’s a very different story. To illustrate this, we’ve done a little experiment. 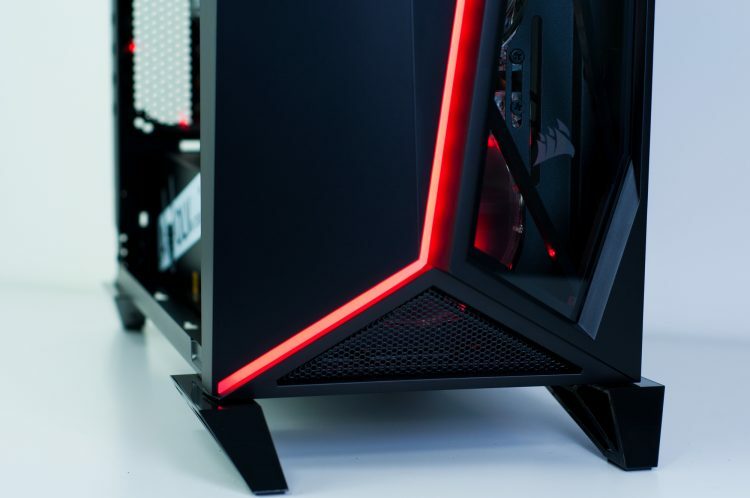 With $2,000 to spend we visited JB HiFi, Bing Lee & Officeworks to see how much bang for our buck we could get, then compared it to an Evatech custom gaming PC for the same price. 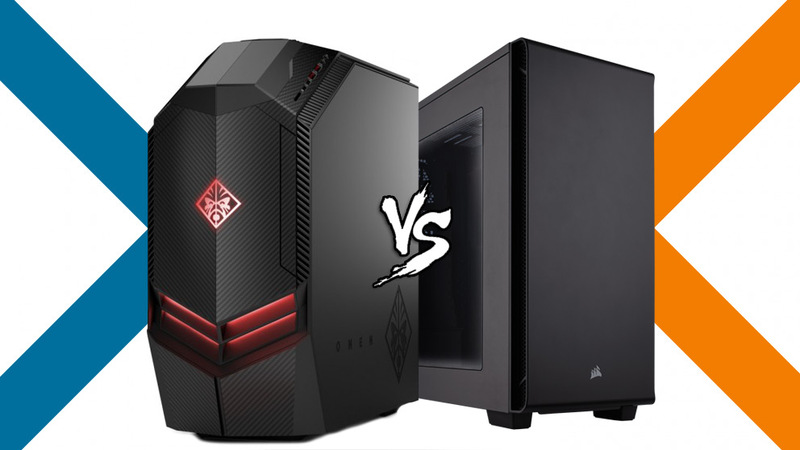 The first thing we noticed when doing our comparison is that there wasn’t a lot of options to choose from when it came to a gaming desktop PCs. The second thing we noticed is that there were no options with ‘current-gen’ hardware! Several months after the launch of the 9th-gen Intel CPUs and RTX series GPUs, they were nowhere to be found. Last but not least, we noticed a disturbing trend of only 12 month manufacturer warranties. Under Australian consumer rights laws this probably isn’t even legal but we think we know why they do it. We suspect it’s help the retailers push their ‘extended’ warranties. Essentially scaring you in to spending more money on something the law entitles you to anyway. To make this as fair as possible we set of very basic ground rules. All options must be stand alone PCs, not bundled with peripherals or a monitor. Initially this was done to try and ensure the fairest possible comparison and minimise subjectivity but it turned out none of the competitors offered such a bundle in this price range anyway. For the tech savvy among you who understand what you’re looking at on the chart above, the results are pretty clear. For the sake of those who might not have a full understanding of what exactly they are looking at in the chart, we’ll break it down for you. 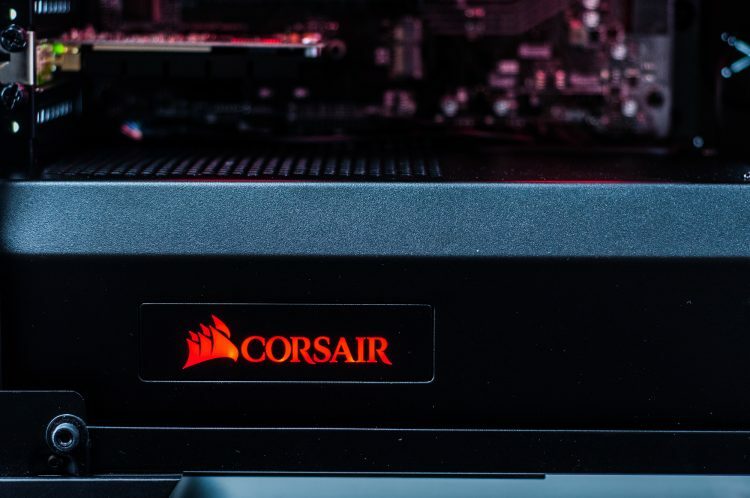 A crash course in PC gaming hardware metrics. In modern gaming systems, 8GB of RAM is considered entry level, 16GB plenty and 32GB overkill. As for the CPU in a gaming PC, low end systems will get by with an i3, while mid range systems should ideally be paired with an i5 and only the highest end systems would need to bother with an i7 or i9. There is a commonly held misconception when it comes to CPUs that higher “GHz” means more performance or that more cores means more performance. Both of which are both true in a way, but mostly false. “GHz” is a measurement of the CPU’s clock speed or ‘tick’ rate. 4GHz means the CPU cycles through a set of ‘instructions’ 4000000000 times a second. This doesn’t account for the number of instructions per cycle it can handle, also known as “IPC”. A CPU with a higher IPC and lower clock speed can outperform a lower IPC, higher clock rate competitor. Furthermore, cores are something that will only contribute to performance if the application or game you are running actually utilises them. Most modern game engines really only make full use of the first 4 to 6 cores (sometimes less). This means in most games, a 4 core CPU and 6 or 8 core CPU with the same IPC and clock rate will perform practically the same when compared side by side. Of course this is a very generalised guide and dependence will vary from game to game. That being said, for the vast majority of modern games, this is the widely accepted best practice. This was an easy win, with second place not even coming close. 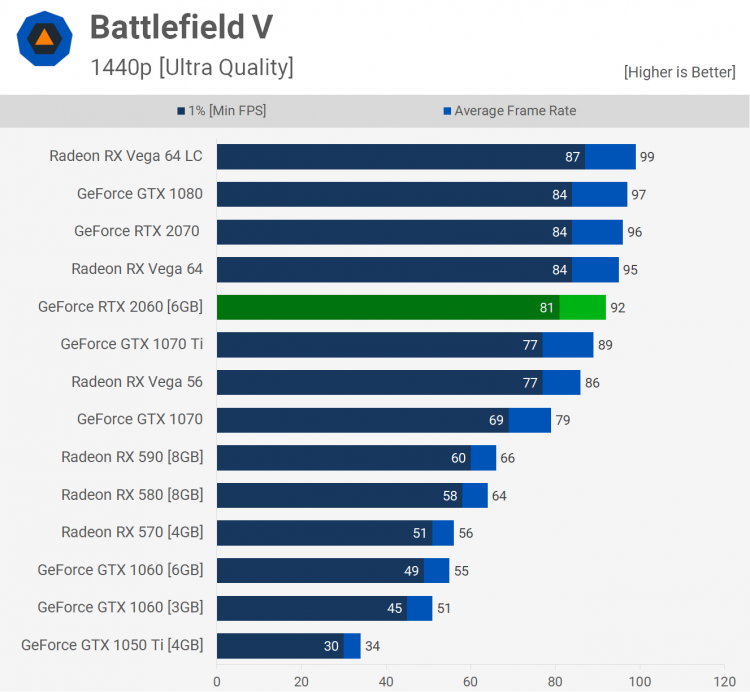 The Evatech configuration blows the competition out of the water with it’s significantly higher performing GPU (video card). 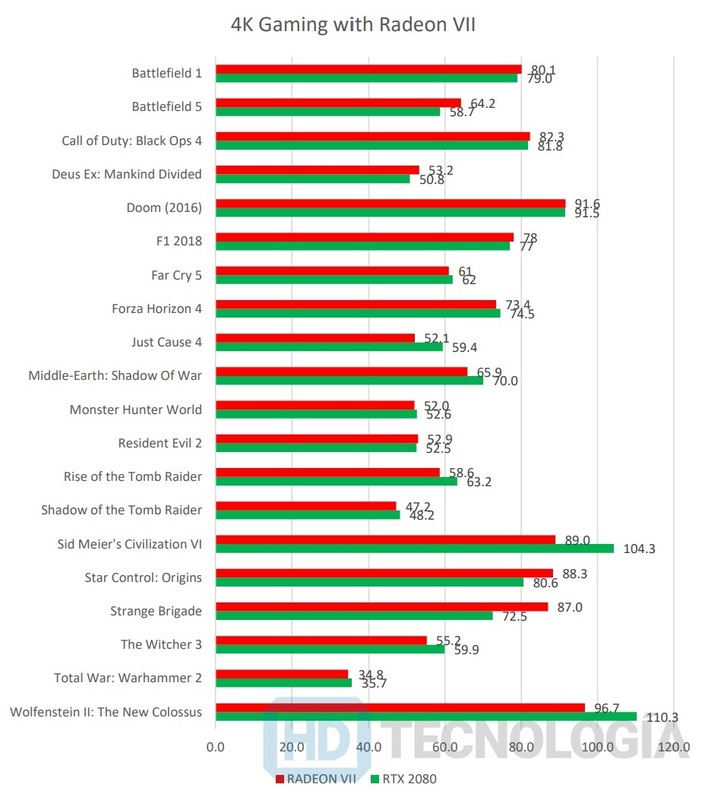 You can see one such example in Battlefield V with the benchmark chart shown above. It also has the highest performing gaming CPU of the bunch with the highest IPC. With the slowest GPU (video card) in the pack, the Officeworks PC would perform the worse in most titles. The only exceptions being for the most RAM hungry or CPU dependant games like the Total War series or Civilisation in which the JB HiFi model would lose it’s much lower RAM capacity and lower end CPU. 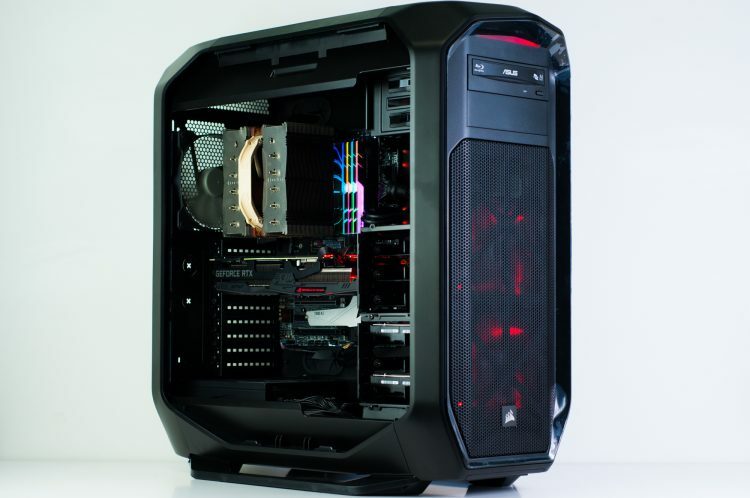 A secondary consideration when it comes a gaming PC but an important one none the less. Each system being compared today comes with a primary SSD and secondary regular hard drive. For those of you unfamiliar with the difference SSDs are Solid State Drives. 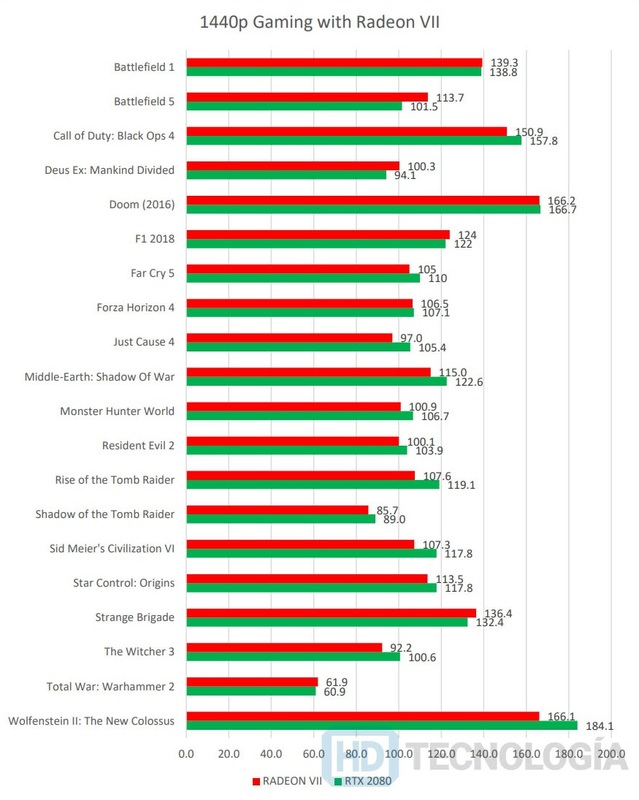 They are significantly higher performing when it comes to boot and load times, but don’t effect in game performance much. Hard drives are spinning mechanical platter storage devices that have are cheaper GB but much slower. Bare in mind that it’s not uncommon for sames to reach 60-70GBs once installed and patched these days, plus Windows itself will eat up 10GB+. With 500GB of SSD storage you have plenty of storage space to install a bunch of all your favourite games without the need to uninstall others or resort to using the slower hard drive. Still not enough? Well there’s an extra 2TB of space for you to install your less frequently played games and applications on the secondary drive. Sporting only 128GB on the primary drive (much of which will be already eaten up by the operating system and bloatware rubbish that will come pre-installed), you’ll have room for 1 or two big AAA games before you run out of space. This is something that the Officeworks system also suffers from but with double the secondary hard drive storage capacity it edges out the JB Hi Fi system to avoid a last place tie. 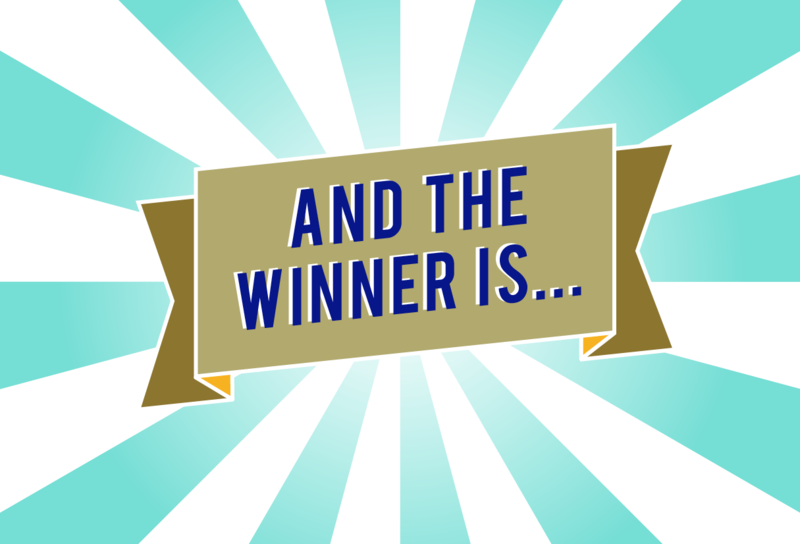 Pretty clearly the winner in this category with the only system that allows upgrades and comes as standard with much more generous warranty policy than the competition. Free troubleshooting assistance from professionals who actually know what they are talking about. Much much longer warranty period and very reasonable out of warranty repair pricing. Everything you would expect and more, for a $2,000 investment. Is it because they use such lower end hardware that they can’t offer more than 12 months warranty? Is it all a scam to to try and rip you off further and help the big box retailers push their extremely pricey and often useless extended warranties? We suspect it’s mostly the latter, but there is also no doubt the hardware you get in an Evatech PC is far superior. Oh, want to upgrade in the future and keep your expensive investment up to date long term? Don’t even think about it, just buy a whole new one. Not only will attempting upgrades void your warranty but in a lot of cases you just simply can’t because they use non-standard hardware that’s simply not compatible with off the shelf gear. Are we biased? Of course we are. But are we wrong? Well everything we mentioned above is true, verifiable and we stand by it 100%. The rest is up to you to decide. 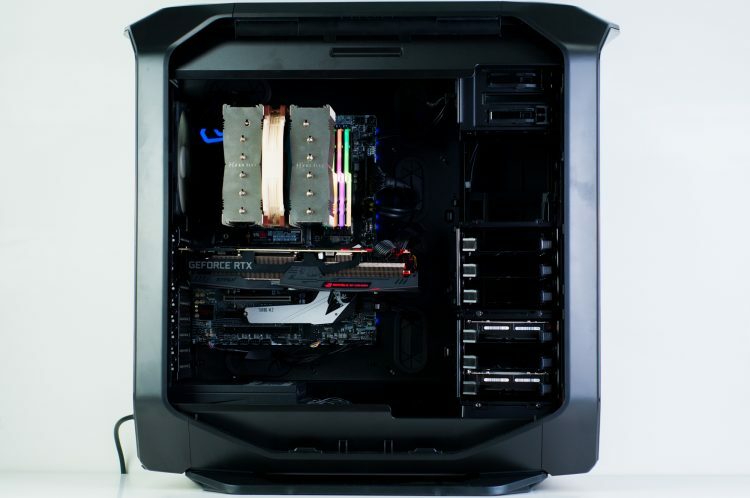 Bare in mind we specialise specifically in custom computers and have done so since our inception in 2013. The competition peddle their so called ‘gaming PCs’ next to staplers, toaster ovens and refrigerators. So is it really that big of a surprise that we would offer better quality, service and value? We don’t think so. Not convinced? Give our store website a try at www.evatech.com.au and customise a PC today. It’s quick, easy, powerful, great value and packed with the latest hardware. All you have to do is lock in your order and our team builds, tests, setup and deliver your system to your door in a matter of days while you sit back and save time & money. What more could you want? 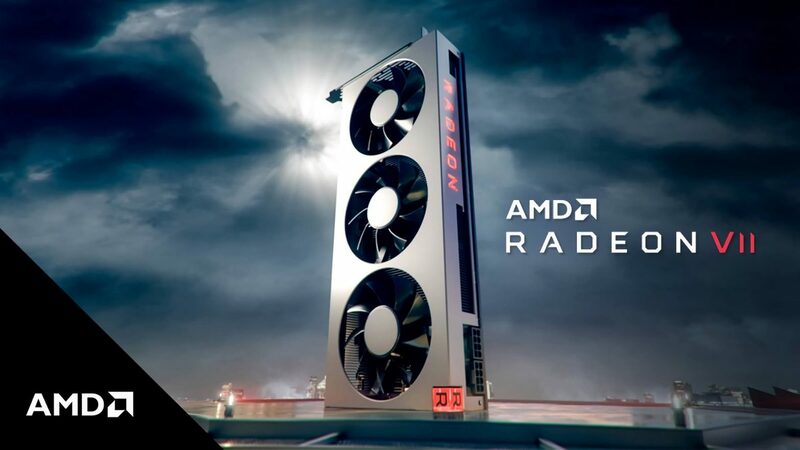 A gamer serious about the latest and greatest in performance and cooling… but not keen on inflated price tags. Not that our customer asked, but check out our cable management. On point. Intel i5 9600K with a 240mm liquid cooler (to keep up with the warmer QLD climate perhaps). 16GB of OC RAM, Nvidia’s RTX 2060, and a 500GB SSD + 3TB HDD. With the launch of the much anticipated Division 2 from Ubisoft today, initial feedback from trusted review sites online is trending pretty positive. Being essentially an online RPG, all we’re getting at this stage is first impressions. We’ll have to wait a until people have more time with the game and start reaching some of the deeper buried content until we start to get a full sense of everything it has to offer. But is it better than the first game? With out a doubt, yes. But does that mean it’s a good game overall? Well that’s were we need to go in to more detail. 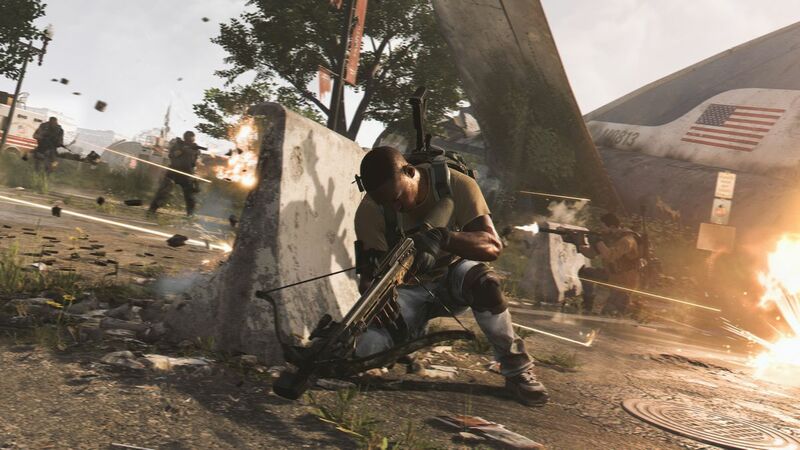 In almost every way, The Division 2 is an improvement over its predecessor. The world feels more full and interesting, the gun play and visuals are improved, enemy variance is better. Everything just feels like it’s had an extra layer of polish that the first game didn’t get. This all of course was to be expected, but in the world of gaming, it’s not something that can be taken for granted. Happily this time around the developers have delivered on those expectations. How does it fare as a stand-alone game? Being a stat and loot driven RPG shooter, the game really needs to success in delivering a meaningful progression system to the player. This means weapon and armour upgrades that actually have a real impact to gameplay. It also means unlocking player attributes that are more than just cosmetic or tiny imperceptible tweaks to an underlying stat system. The Division 2 does this well, at least in the early hours of the game. To give you an idea, with the level cap at 30, we’re writing this article only having reached level 17 so far. There is still plenty of post ‘end-game’ content after the main story but in terms of meaningful progression you wouldn’t expect it to extend far past the level cap. New items are spaced well throughout the game, level progression actually means something, perks give you noticeable boosts. Most importantly however (this being a third person shooter after all) is the weapons. This is a game where damage hit points come flying out of enemies when you hit them. Where armour actually makes a difference and hitting an enemy in the head will deal a lot more damage than blasting them in a toe. Damage, fire rate and accuracy of your weapon are probably the most important stats in the game. This makes upgrading your arsenal not only necessary but satisfying and a key driver to keep you playing. Well as previously mentioned, the all important progression system is a big plus, the visuals are great and the game world is interesting. On top of all that, the gun-play (which is pretty crappy in the first game) is much improved with the audio and animations being punchier and enemy animations actually responsive and timely when getting hit. Another positive addition to the game, and one we mentioned in the opening paragraph, is a much more varied range of enemies. The combination of size, speed, armour and weapons means you always have to be on your toes. Giant chainsaw wielding melee enemies lurk in narrow corridors while snipers may patrol big open areas. Different factions don’t only look different, but will have different critical hit areas, movement behaviours and weapons. This goes a long way in keeping the game-play feel fresh and less predicable. The game isn’t perfect by any means, but it’s far from bad. That being said, if you’re after a great immersive Tom Clancy worthy story, you might be a little disappointed. The characters are good but not great and the overarching plot is fairly predictable. There isn’t much in the way of side compelling stories to explore in the world beyond the main mission either. On the flip side, there is some pretty well done small segments of the game that stand out. These mostly centred around some fairly compelling and interesting villains. Another issue we’ve encountered is the shotgun. It’s a simple game mechanic that hearkens as far back as the original Doom. Devastating at close range, useless and long range. That’s all it needs to be. Somehow in this particular game, it’s only one of those two things. At range the Shotgun is as you would expect, pretty useless. However, close up it’s somewhat effective but it barely deals any more damage that a regular rifle. This makes it essentially useless. A fairly small grievance and one that could easily be fixed in a patch, so at this point we’ll just wait and see. In conclusion, we were presently surprised. The game is fun, it’s a big step up over the original and the down sides were only minor. This of course won’t be everyone’s cup of tea. For instance, if you’re a WoW player and not a fan of run and gun action shooters, it’s probably not for you. Likewise, if you’re a Call of Duty fan that likes twitch shooters with sub 1 second time to kill, this won’t be for you either. To summarise, if you like this genre blending style of game then you’ll probably enjoy the Division 2. Just don’t shell out $70 expecting it to be something that it isn’t. Being a very PC-centric game and being built for native 4K support this game can really put a strain on your gaming rig. Especially if you really want to max it out. Ubisoft’s own official hardware recommendations to play at 4K require an RTX2080 TI. Paired ideally with a high end i7-i9 current gen CPU and 16GB of RAM. You can take this with a grain of salt. The publishers recommendations are not always based on actual raw performance. That being said, in this case, they don’t appear to be far from the truth either. If like most gamers, you’ll be playing at 1080P or 1440P you can get away with a GTX1070 or RTX2060 GPU. Paired with a high end i5 or Ryzen 7 CPU and 16GB of RAM to keep up. Bare in mind this is for high graphics pre-sets at 60FPS. Remember to keep a little headroom if you’re trying to reach higher frame rates on a high-refresh rate gaming monitor. For you budget gamers out there, the minimum officially supported hardware specs are a GTX670 + i5-2500K with 8GB of RAM. This roughly equities to an i3-8100 and a GTX1050 TI. Expect to need to dial both the in game graphics settings and resolution down low to achieve a smooth frame rate. So how do you get your hands on a copy of the Division 2 for PC? Well in Australia it starts at $64.00 on Amazon or JB-Hi Fi. If you have a JB locally you can walk in and grab a copy on the spot. Not in a rush? If you have Amazon prime you get free delivery. Don’t want to leave the house? It’s just a few bucks more on the Epic Games store. Just don’t get ripped off at EB! Don’t have a gaming PC up to the challenge? Well now you know what sort of hardware you’ll need to hit your desired gameplay experience, the next part is easy. 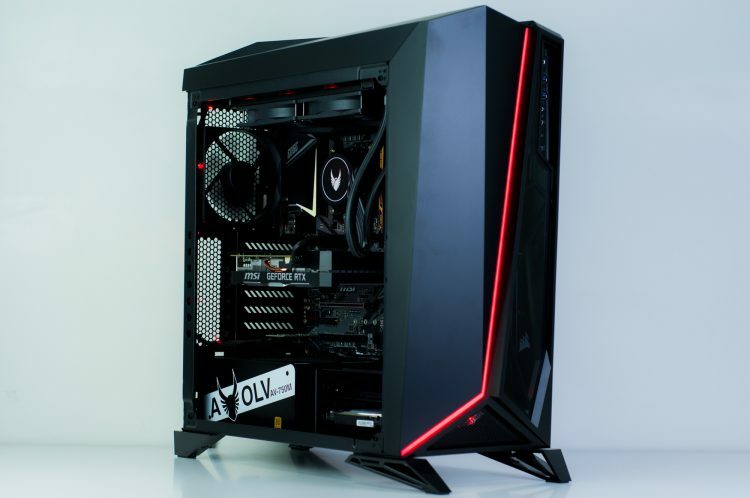 Visit www.evatech.com.au and customise your next dream ‘Division 2’ ready gaming PC today. 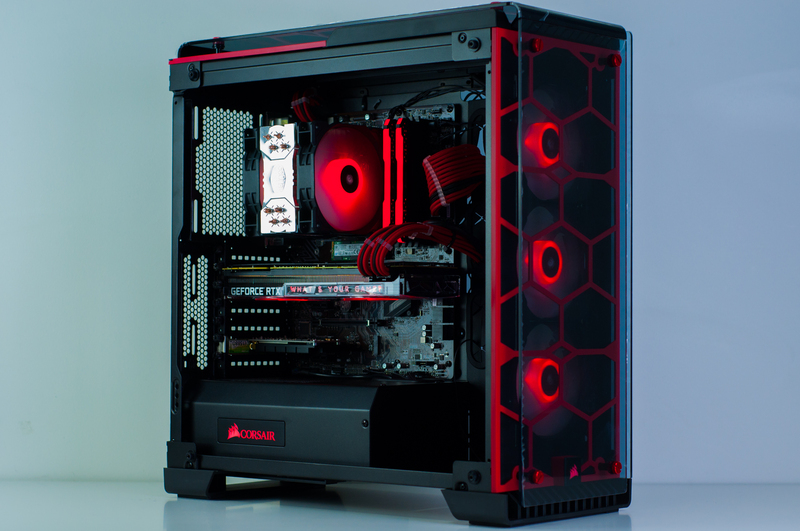 Australian built, high quality, latest gen gaming PCs built to order and delivered nation wide. Above all, it’s easy, powerful, amazing value and has great built in error checking and performance indicators. Simply order online and our team will build, test, and deliver to your doorstep anywhere in Australia! SUPPORT Foreign call centre reading from a pre-written script addressing a handful of possible issues. Trained local experts who know what they are talking about and actually built your PC. (pre-installed unwanted applications) A lot (15+) None. Just a clean install of Windows 10 and the latest hardware drivers. WARRANTY 12 months, or up to 3 years with third party extension. 3 years, with up to 5 year first party extension. 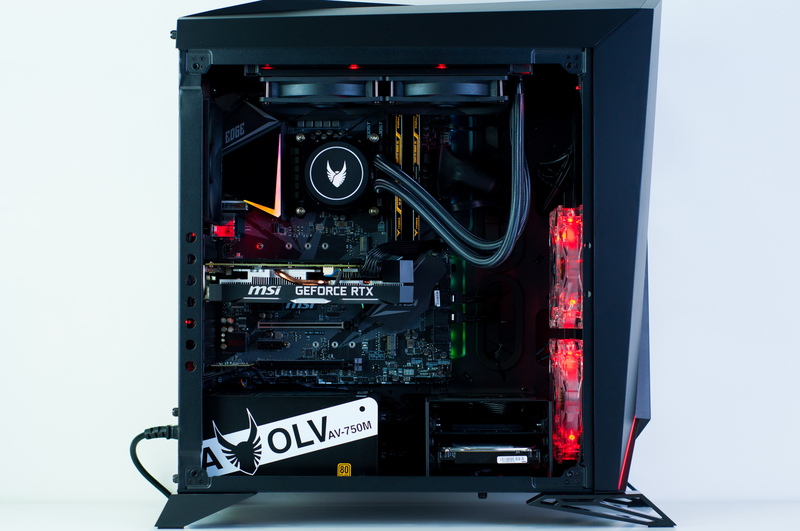 Well, if you were to purchase the Harvey Norman HP Omen gaming PC over our custom Valkyrie you would be paying $2,862 more. What do you get for that huge premium? Older, lower performing hardware with worse customer support and no ability to customise or upgrade without immediately voiding your warranty. How is that even possible!? Surely there is something that would justify the price difference, or we have to be hiding something right? Well, the Omen comes with a fancy logo printed on the front of it and can be purchased over the counter (if your local store has stock). The sales-person will be thrilled to key in the order for their KPIs (sales targets) and commission. Likely saying whatever they think it will take to get you to pull out your wallet. On the other hand our systems, due to their customisable nature, are built to order. This means you’ll need to be a little patient and wait a few extra days before picking it up or having it shipped out to you. We don’t know about you, but a $2,862 saving plus a huge performance boost seems like a pretty good trade off for a few extra days right? Depending on how far in the future you’re reading this, you may or not may not be able to pull up each PC on the websites. Pricing is of course subject to change over time but we don’t expect it to change significantly. At the time of writing this article we captured screenshots as evidence in case anything does change moving forward. You can find these below, completely unedited, taken at precisely 10:41am 14/03/2019. It’s simple. With Evatech, you can choose EXACTLY what you want. No need to limit yourself to a few pre-configured systems. You can get exactly what you want, with none of the crap you don’t need. Do it in your own time without any pushy sales-person who barely know what they are talking about. Tailor a system to any budget and if you need professional assistance you can contact us any time for an obligation free expert one on one assistance. No up-sells, no targets, no KPIs, no sales tricks. Just honest, genuine, & professional advise, guaranteed. So how best to get started? It’s fast, secure, powerful and has built in performance indicators, guides and compatibility checking to make it easy! Get stuck, have a question or need some advice? Just hit the contact button and shoot us a message. We’ll get back to you ASAP (typically within the hour during business hours). Or give us a call on 03 9020 7017. If you’re a local, drop in to the store at 1/382 Huntingdale Road, Oakleigh South 3167. It’s not often our techs will set RGB components to a certain colour instead of the default RGB cycling mode. But they definitely did the right thing for this build. Check out the pictures to judge for yourself. 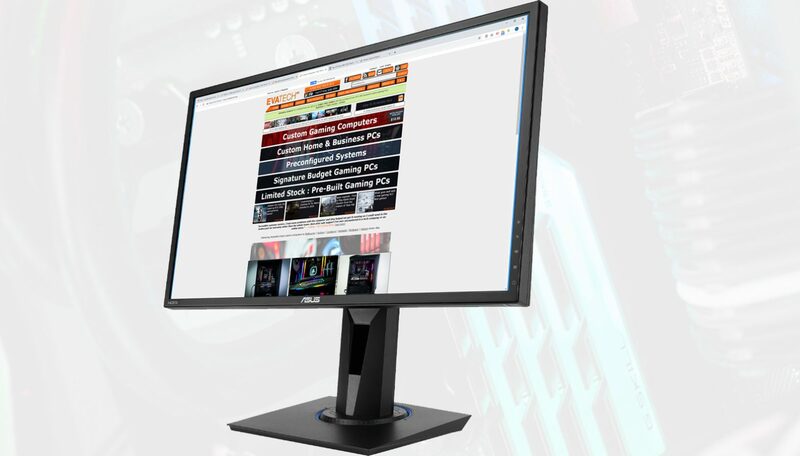 Configure your own gaming PC just the way you want it. Go on, treat yourself, because you’re worth it.